age 69, of Algonac, MI. passed away January 25, 2014 in the St. John River District Hospital. She was born August 29, 1944 in Bay City, MI. She married Robert Roy Wierszewski Sr. on June 8, 1963 in Detroit, MI. He passed away December 15, 2003. 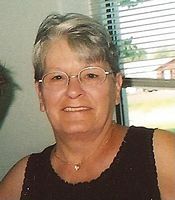 Mrs. Wierszewski is survived by her children Robert (Patricia) Jr., Clifford, Tina (Erik) McCreedy, Keith (Holly), Shelly (Steve) Kunnath, grandchildren Robert, Shayne, Jessica, Jacob, Kyle, Gary, Shayla, Devin, Logan, Camryn, Faith, Makenna, Braedin, and Layna. Funeral services will be held at 11:00 AM Wednesday January 29, 2014 in the Gilbert Funeral Home, Algonac. Visitation 1-4 & 6-9 PM Tuesday. Memorial donations may be made to the Family Wishes.